Hey guys, Parker here. I've been away from the site for a while... doing lots of work, traveling, and trying to get my career back in order, but behind the scenes there has been some real progress on Project Tinymobile. Ive taken it from a blupurle beater to something that I could actually pick up a date with (maybe). I got the car in good running order and applied some finishing touches as well so read ahead for all the goodies! The Tinymobile started life as a 1979 Honda Civic 1200. 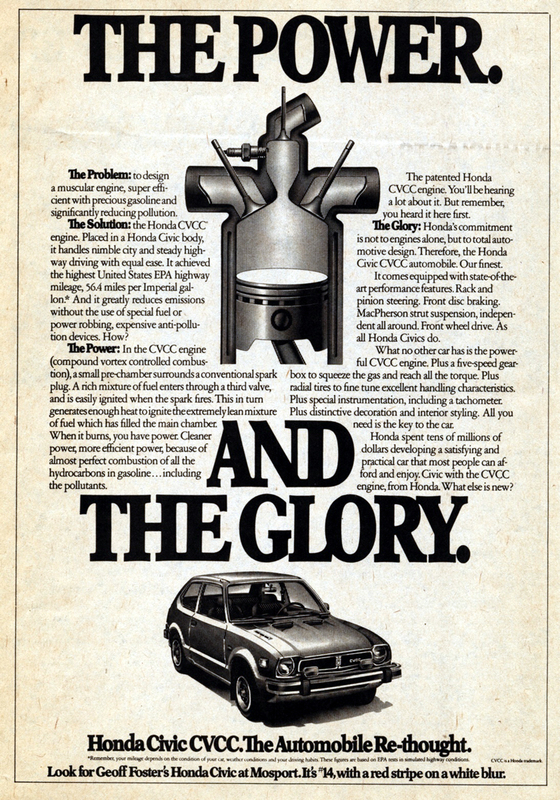 Many people are familiar with the CVCC model for its legendary fuel economy and low emissions; Over 50mpg and they didn't need a catalytic converter to meet emissions requirements! Aside from the more standard-tech, 1.2 liter 8v SOHC engine, you can tell the difference between the two by the fact that the 1200 is 3" shorter from the front wheels to the front of the car, and the CVCC usually came with a 3-spoke steering wheel. When I brought this one home in 2011, it was running rough, had rough blue paint, and the seats were torn to utter shreds, but it was only $600, so with a slight tuneup it would be a perfect daily driver. Tinymobile at home, fist-wide fender gap included at no extra charge! Needless to say, things have changed. From the beginning, my plan was to have it remain a restomod-style daily driver that will be useful for parts hauling, camping, climbing, etc.. The car came with minimal interior panels from the factory, so the first task was to paint the interior. I decided on a Zinc Chromate green color to accent the metallic grey on the outside. A newer aftermarket sunroof was installed to replace the leaky one that was installed in the early '80's, and all of the blue interior panels were dyed black. The trashed interior carpet was pulled out, traced, and then cut out of ordinary commercial carpeting. The paint is a single-stage metallic grey from Summit Racing. This was also done at home, and was the first time I had ever sprayed automotive paint. Not great, but it looks pretty good from 20 feet. Next up were some safety/performance modifications. In order to fit the wheels/offsets that I wanted, I had to change the bolt pattern from the oddball stock 4x120 to a much more common 4x100. The wheels were only available in 4x114 so we redrilled them. Gotta have that fitment! 15x7 Konig Rewinds, with a zero offset does the trick nicely! All that work converting bolt patterns meant that the rear drum brakes no longer fit, so they were replaced by a custom brake kit made from assorted Honda OEM rotors, bearings, and hubs, Forged twin-piston Wilwood calipers, lots of careful measuring, and a couple of waterjet-cut aluminum brackets. Next up the very poor lighting in the car was addressed. Many of you with older cars have the experience of driving at night with crappy sealed beam headlights and tiny gauge wiring. Running a relay harness can do wonders, and so can adding aftermarket "super bright" bulbs, but going a couple notches better with an HID retrofit will really get the best lighting. By doing a projector retrofit, you ensure that all of the light gets put onto the road and not glaring into other drivers eyes. These were H4 housings, with Infinity FX-style bixenon projectors, bulbs, and ballasts from The Retrofit Source here in Atlanta mounted inside of them. If you're thinking of doing something like this yourself, they are the #1 source of HID equipment for retrofitting. With the front upgraded, it was time to make sure that people would be able to tell when I was braking and not smash into the Tiny car. An LED third brake light from a Volvo wagon was added, and the taillights were converted to LED's as well using DOT-approved trailer lights as a light source. For suspension mods, The 1st-gen Civic community in the UK and around the world pulled together to work with BC Racing UK to develop the first and only bolt-on Coilover kit for these old Civics using their BR-series coilovers. Not only does it drop the car quite a bit and make it handle like it's on rails, but it also rides more comfortably than the stock setup ever did! It's currently setup to add 2 degrees more caster and 1 degree negative camber. I took the opportunity to upgrade the charging system as well. The OEM alternator weighs 11 lbs and only puts out 35 amps maximum. It also has an external voltage regulator on the other side of the engine bay, cluttering things up even more with wiring. The replacement is a Denso mini alternator that puts out 50 amps and is internally regulated, simplifying things greatly. Oh, yeah, it's also half the size and weight of the OEM alternator too. Simplify and add lightness. Colin Chapman would be so proud! The engine bay is still a work in progress, but there are still a couple of goodies hidden up here. Underneath the air cleaner, the OEM carburetor has been removed and replaced with a Weber. The exhaust manifold was swapped for a 4-1 header, and the ignition system was changed from points-breaker style to an electronic ignition. This insures perfect idle, speedy startup, and a much stronger spark to burn the extra fuel the big Weber is feeding the engine. You can spot the ignition, coilovers, and HID's in this picture. Back to the interior, the super-trashy seats were replaced with OEM seats from a Honda Del Sol. These are some of the most comfortable and supportive seats out there, and as luck would have it they basically bolted directly onto the '79 Civic's seat rails. There are a few other touches around the car to set it off a little bit, and when the cash flow was running dry, or simply because the parts aren't available anymore. Interior pieces are extremely hard to find in good shape. These will probably be replaced with something awesomely homemade. Hey, at least the phone charger works! Well, that's all for now on Project Tinymobile. I'll be updating with more details on the various things that were fabricated and installed soon, so check back and stay Friv! Nice job Parker, it looks fantastic. Awesome restoration! I love the time, effort, and work you have put into this CVCC. It's great to see the early model Hondas still driving around. I like it a lot Parker. I think that hood needs some pinstriping though. I miss the sharpie marker art. This is beautiful! 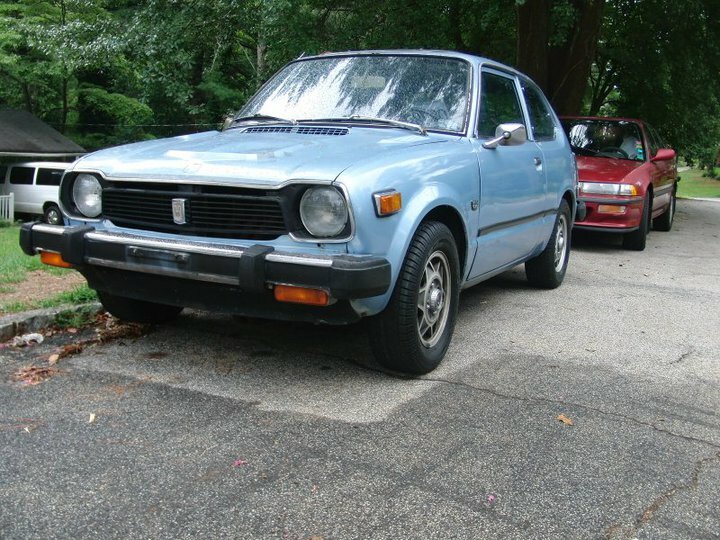 My first car was a '74 Civic and I remember it fondly. Really a fantastic thing you've done here. I tip my hat to you, sir! What did you have to do in the rear to get the BC Coil Overs to fit a CVCC? the car is a great car i am currently in the process of restoring one and i must find out where you got the fender flares please! Hi yes l like the fender flares where did you get.